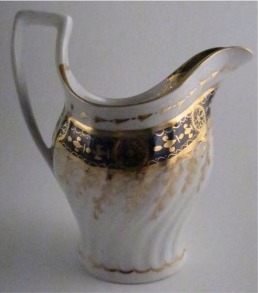 This is a charming cream or milk jug, made by the Chamberlains Worcester factory around 1795-1800. 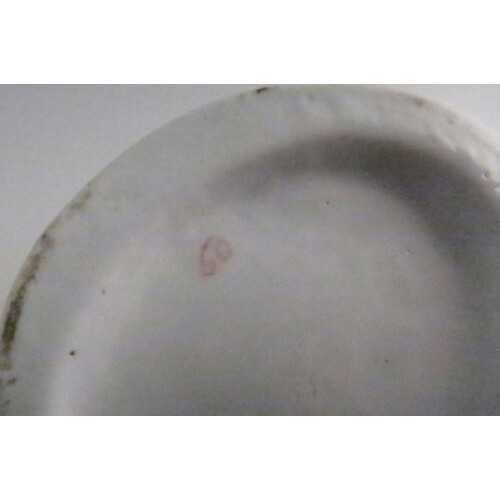 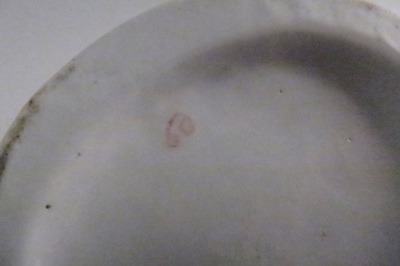 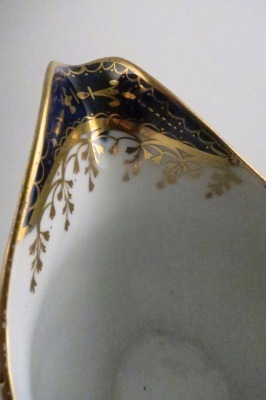 Although the piece is not actually marked with the Chamberlain's name, which is common for Chamberlains Worcester porcelain, it is marked with the Chamberlain's pattern number 60. 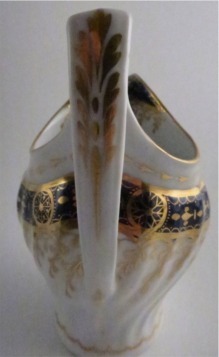 It has the typical 'tram' lined shanked body, (i.e. 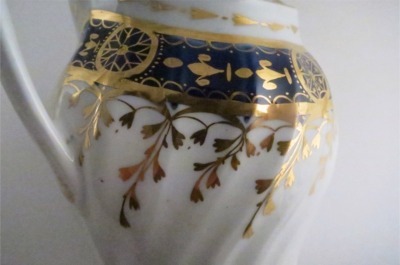 each moulded swirl line in the body is made up of two lines, very close together, referred to as 'tram' lines) associated with this type of Chamberlains porcelain. 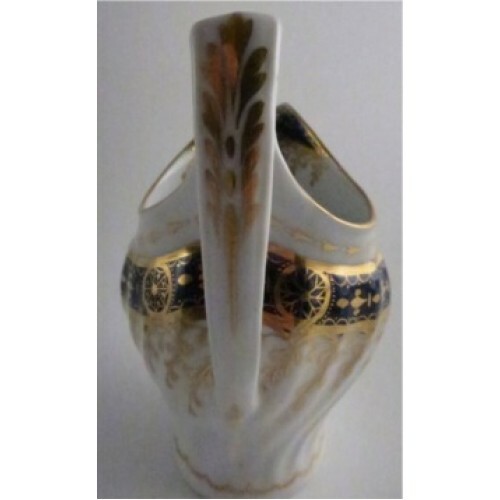 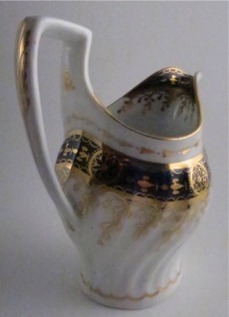 The jug is of a rather unusual and very pleasing shape, making it adelightful jug for a collector of fine porcelain or Chamberlains Worcesterporcelain. The jug is decorated with an underglaze cobalt blue band aroundthe shoulder of the jug body and again on the inner lip of the spout. 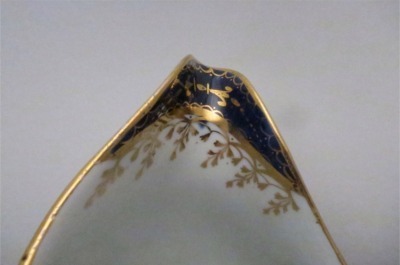 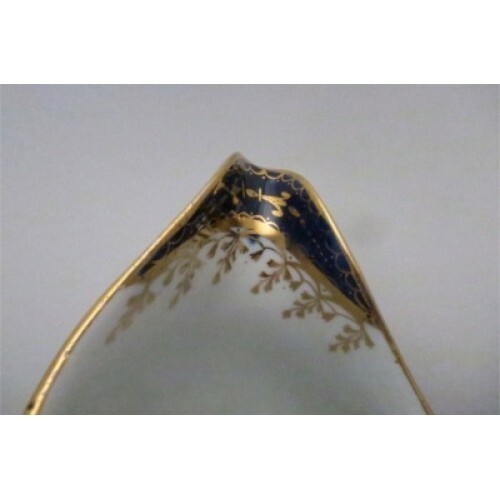 This blue band is then richly enhanced with gilt decoration and gilt dropping foliage. 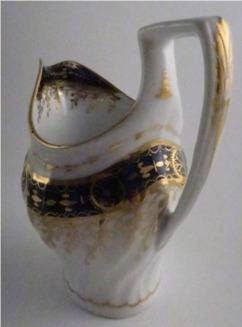 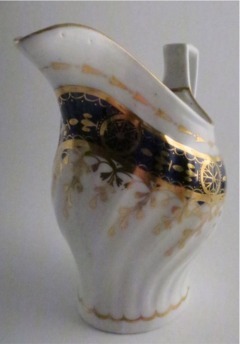 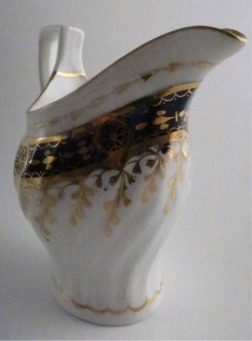 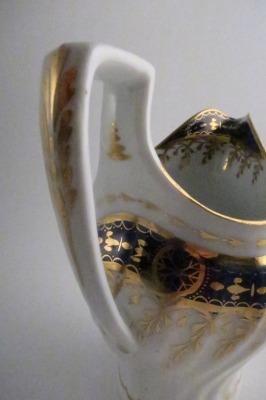 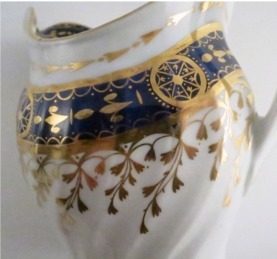 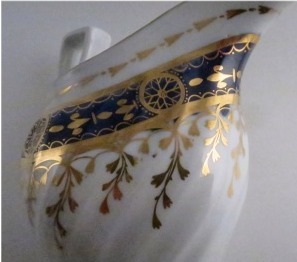 There is further decoration to the body of the jug with a gilt scalloped line around the base and a gilt rim. 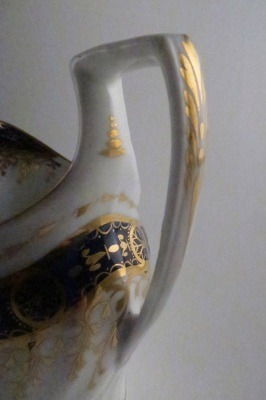 There is also gilded decoration to the back edge of the angular handle. 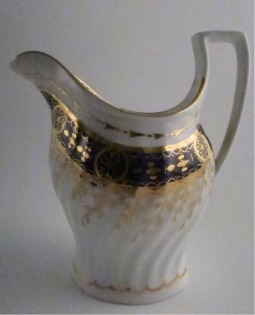 The jug is marked with the Chamberlains Worcester pattern number 60 on the base in red script. 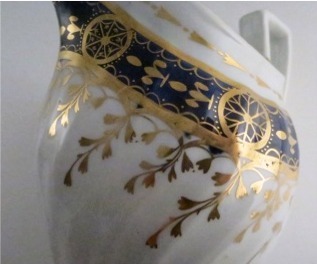 This beautiful Chamberlains Worcester jug really is in excellent condition with no chips, cracks, repairs or restoration, even the gilding shows remarkably extremely little wear. 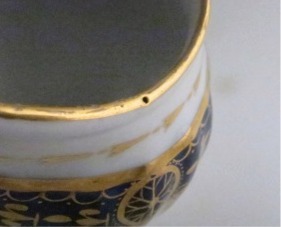 The is just a tiny pin hole in the rim gilding as shown in the picture below. 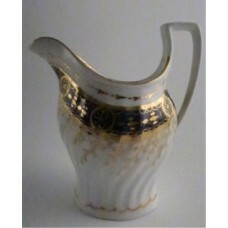 This really is a wonderful jug for any collector of Chamberlains Worcester wares. 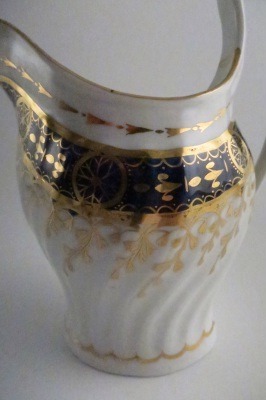 Condition (See main description for full details and pictures) This beautiful Chamberlains Worcester jug really is in excellent condition with no chips, cracks, repairs or restoration, even the gilding shows remarkably extremely little wear. 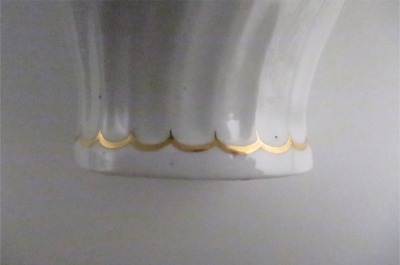 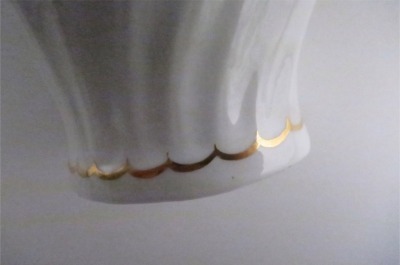 The is just a tiny pin hole in the rim gilding as shown in the picture in the main description.